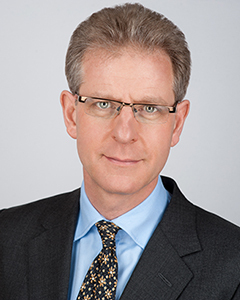 David Sanderson acted for the Claimant at the trial before HHJ Cotter QC, sitting as a Deputy High Court Judge, in December 2016 and was led by Rob Weir QC in the Court of Appeal. The Claimant was a sales manager at a small Midlands recruitment agency for HGV drivers. In December 2011 the company held its Christmas Party at a local golf club. Most of the employees and their partners and a few guests attended. At around midnight, when the party was finishing, the managing director John Major, initiated a move to a nearby hotel, where the guests could continue to drink and talk. At shortly before 3 am, during an argument between Major and the Claimant, Major punched the Claimant twice, knocking him out, so that he fell to the floor and suffered severe brain damage. The Claimant sued his employer, alleging that it was vicariously liable for Major’s assault. HHJ Cotter QC dismissed the claim, finding that what had occurred was a drunken discussion following “a personal choice to have yet further alcohol long after a work event had ended” and the fact that before the assault the conversation had turned to work, could not provide a sufficient connection to support a finding of vicarious liability. The grounds of appeal were that the judge had failed to take account of the nature of Major’s job and was wrong to hold that there was insufficient connection between the position in which he was employed and his conduct, to make it right for the employer to be liable under the principle of social justice. Major was the directing mind and will of the company, with a wide remit. He was in charge of all aspects of the business, did not have set hours and had authority to control his own methods of work. Much of what Major did throughout the week was working either directly or indirectly on the business of the company; a 24 hour operation with an employee always on call. Major viewed the maintenance of managerial authority as a central part of his role. Major was responsible for the smooth running of the Christmas party and arranged for the company to pay for the food and drink. When the party finished, Major offered to pay for taxis to take guests on to a nearby hotel. About half of the guests, a mixture of employees and others, took up the offer. At the hotel they continued to drink alcohol, much of which was paid for by the company, and to talk about various topics. From around 2 am the conversation amongst the remaining employees turned to work, including the company’s plans for the following year. Approaching 3 am, during a discussion between Major and a group of employees, an argument arose between the Claimant and Major relating to the terms of the appointment of another sales manager. Major became annoyed that his decisions were being questioned and summoned all the employees still present and began to lecture them on how he owned the company, he was in charge, he paid their wages and the decisions were his to take. When the Claimant, in a non-aggressive manner, again challenged Major’s decision about the other sales manager, Major shouted that it was his business and he took the decisions, before punching the Claimant who fell down. The Claimant got back up bleeding from his left eye, holding his hands in a gesture of surrender. While other employees were trying to restrain him, Major broke free and “hit the Claimant again with a sickening blow with his right fist, knocked him out such that he fell straight back, hitting his head on the ground”. The appeal was allowed and judgment entered for the Claimant for damages to be assessed. The approved judgment can he found here.